TriggerPoint Myofascial Compression Techniques Level 2 – Dynamic Duo Inc.
Get into the hands-on application of using the TriggerPoint deep tissue massage products. 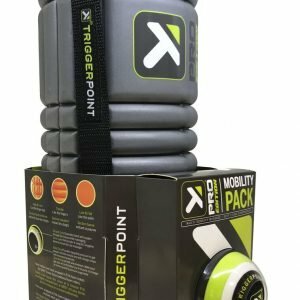 Take your knowledge beyond foam rolling by learning the practical applications behind TriggerPoint’s deep tissue tools designed to increase mobility and improve performance through improved biomechanics. Covering 14 areas of the body, this course provides an in-depth knowledge of how to use and teach Myofascial Compression Techniques to increase the performance and training results your clients demand. *Cost includes course manual, TriggerPoint Wellness Collection, and certificate.